Jennifer Freddi has a B.A. in Physical Therapy from Fresno State, and is a talented woman who has a wealth of knowledge regarding the care and handling of horses. Not only does she work well with the team horses, but she also teaches both children and adults. She is a responsible horse lounger and coach. Mrs. Freddi is currently working at Clovis Hospital in the Physical therapy department. Since 2012, Mrs. Freddi has volunteered her time to Starlite Vaulters as an Assistant Coach, and Lounger. 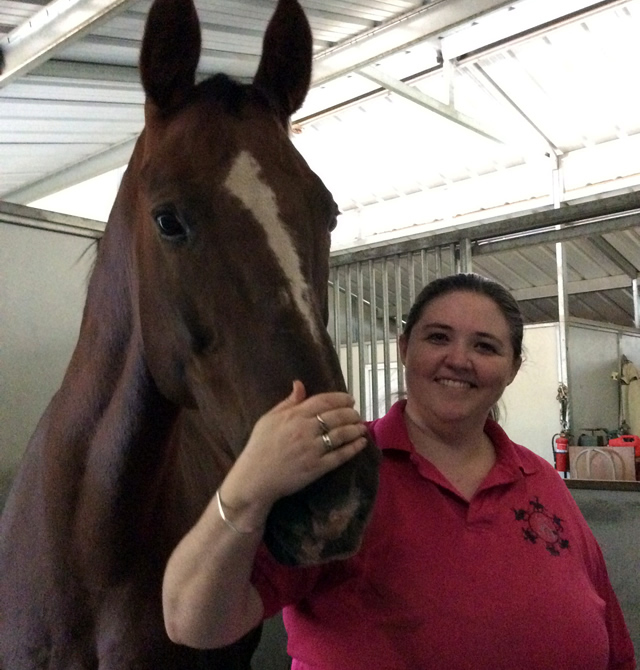 Mrs. Freddi has been an asset to the team since day one, as she has helped with the training of our team horses, given veterinary help when needed, and gone above and beyond expectations for the team of both able and handicapped children and adults. Mrs. Freddi's responsibilities include but are not limited to the following: Upon arrival to Starlite Ranch she opens the barn to the Vaulters; halters the horses and grooms them for the Vaulters use; coaches the Vaulters in their warm-up routines of running, stretching, and barrel work; lounges the horses for the Vaulters; and Coaches the Vaulters on techniques and exercises both on the barrel and horse. Mrs. Freddi has shown nothing but an enthusiastic energy towards her teaching of the children and adult Vaulters on the team. Join the American Vaulting Association today to start your journey into the fun and challenging sport of vaulting.